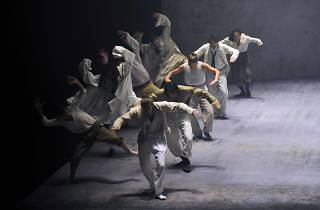 Choreography and music: Hofesh Shechter. 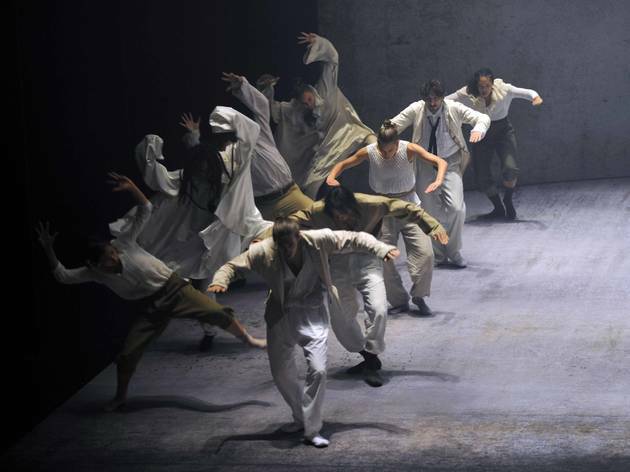 With: Hoefesh Shechter Company. Maeva Berthelot, Chien-Ming Chang, Sam Coren, Frederic Despierre, Bruno Karim Guillore, Yeji Kim, Kim Kohlmann, Erion Kruja, Merel Lammers, Sita Ostheimer. The world is a wonderful place... but it can also be dangerous, warns the creator of choreographies that range from 'Uprising' to his latest hit, 'Political Mother'. 'Sun', produced with support from the Mercat de les Flors, is the most recent show from Israeli-born Schechter, who danced with Bathseva Dance Company and has gone on to become a leading name in contemporary dance in Europe.